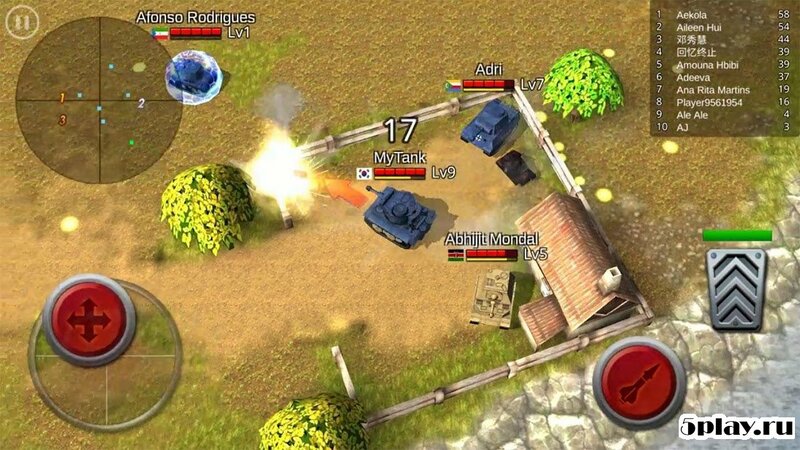 Battle Tank - addictive tank action with the camera on top and multiplayer. 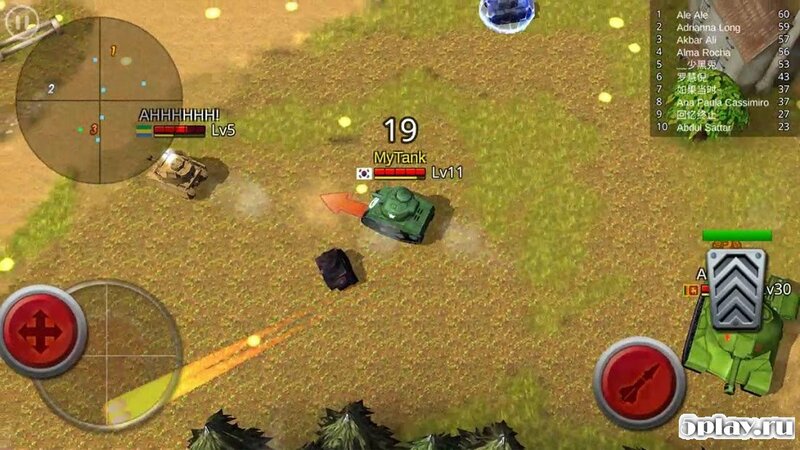 The player will take part in battles in open spaces with many opponents. 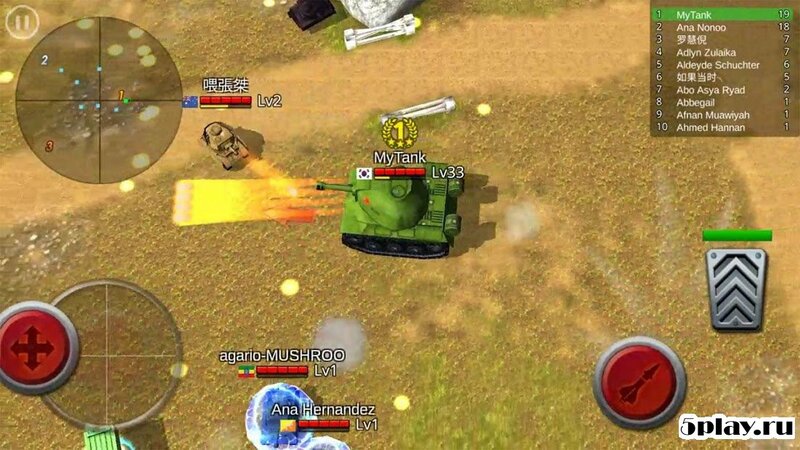 The user will be dozens of tanks with different characteristics and appearance. During the fighting, the gamer will gain experience that will allow him to access new models of caterpillar equipment and improvements. 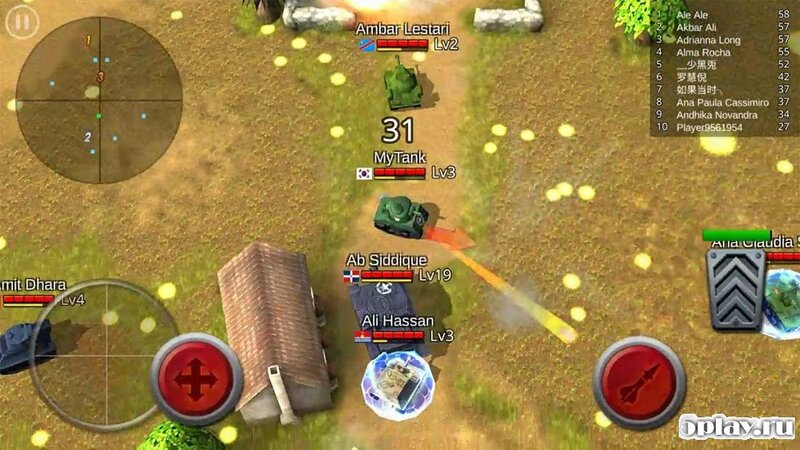 Control military machine by using a virtual joystick and buttons of the shot and the gas pedal, which is very convenient in a dynamic battle.